Social learner is a WordPress theme built for learndash and BuddyPress. 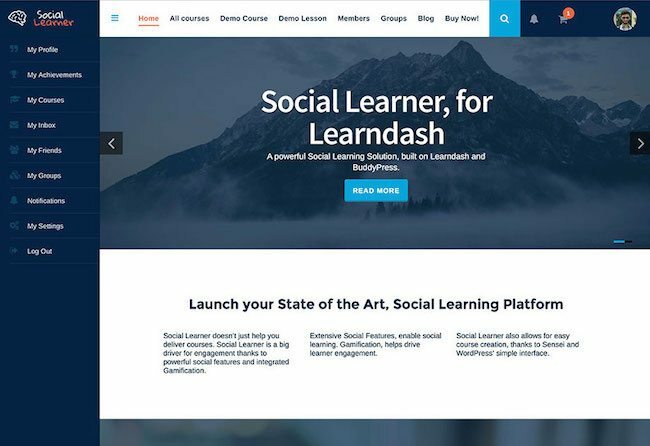 This theme is perfect for anyone that wants to create a social learning platform in which you can sell courses the individual or as part of a membership package. It’s very versatile regarding customization options enabling you to stamp your own brand identity on your website. Social learner also incorporates a gamified experience to help engage users with into your community. Thanks to the LMS capabilities you’re able to include an array of functionality on to your websites such as drip feed content, advanced quizzes, lesson timer and much more. 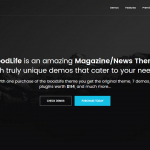 The entire layout of the theme is built to immerse users into your community with a prominent menu area which can be used to direct users to their course access page, forums and membership profile. 100% multilingual and with RTL support so you can reach users from all across the globe. As this is a social theme, it wouldn’t be complete without a social media login integration which comes as standard. Site wide search functionality with predictive searching also integrated standard.